I'm a little behind on my goals and everything else this week. Let's just blame it on the fact that it's spring break and everyone deserves a break now and then. On Friday I'm going to Florida for four days with one of my sisters and I doubt I'll write much while I'm lounging on the beach and getting a massage. Which is why I must get my writing goals accomplished before we leave! 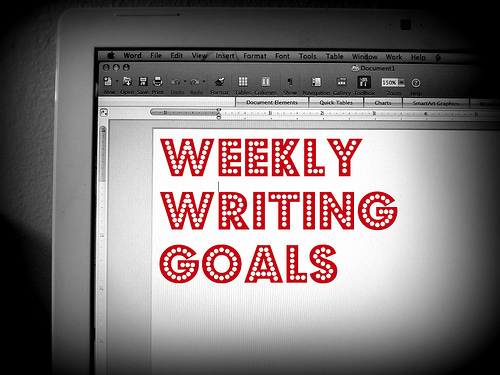 But first: let's recap week one of my writing goals. I successful entered "The Wedding" in Ploughshares Emerging Fiction Writer's Contest. Good luck, little story! I also submitted my short story "Distance" to five journals. I used the excellent website Duotrope to find appropriate journals, which really helps the process. Finding the right places to send your work is time consuming. I made it through one revision of "Dread" and tightened it up quite a bit. I think it needs one or two more revisions before I can resubmit it. If anyone out there is a super critical editor and wants to tear an essay to shreds, let me know. We can do a trade! 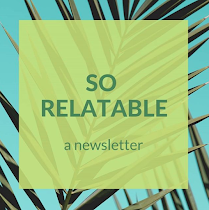 The March newsletter for the yoga studio is done. Colleen asked if she could see the newsletters, and she can! They're posted every month on the studio's blog. The only thing I did not accomplish this week was to begin something new. We were out of town all weekend, which shall be my excuse. I'm glad I got the other things done, though - it will make this week's goal easier to focus on. Yep. Just one goal. As I mentioned before, I'm going to Florida on Friday and it's already Tuesday. I'm also giving a presentation about social media to a group of local business owners on Thursday, and I'll need to prepare for that. (I used to do these sorts of presentations a lot when I was a Digital Projects Librarian - now I do them as a Freelance Internet Lady.) If I can get a rough draft of a new story done before I leave on my trip, I will be a happy Writer indeed. Do you have any goals this week? Share or link them in the comments! Accountability is, after all, the key to success.